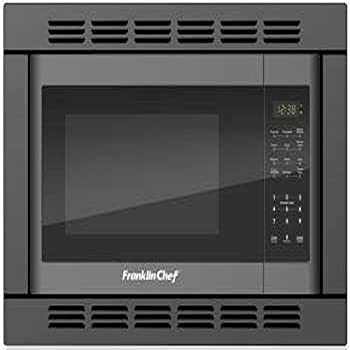 Microwave ovens (video) with convection functionality are now in great demand because of their practicality and efficiency. So, for this post, I will present you with reviews of the 10 best convection microwave ovens to date. 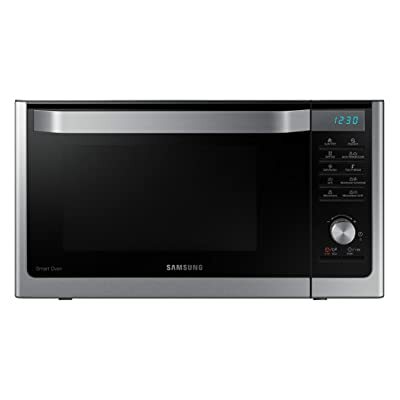 If you find an ordinary microwave oven to be a very useful kitchen appliance, you will really appreciate a unit that comes with the added functionality of convection cooking. Shortly, a convection oven has a fan and exhaust system that a regular oven does not. Needless to say, life in the kitchen will be even more beautiful if food preparation is done quicker, easier, and more conveniently. 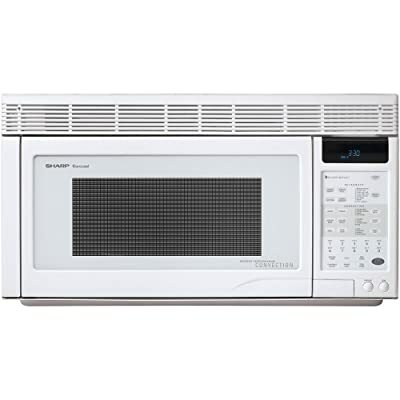 Which is the Best Convection Microwave Oven for You? 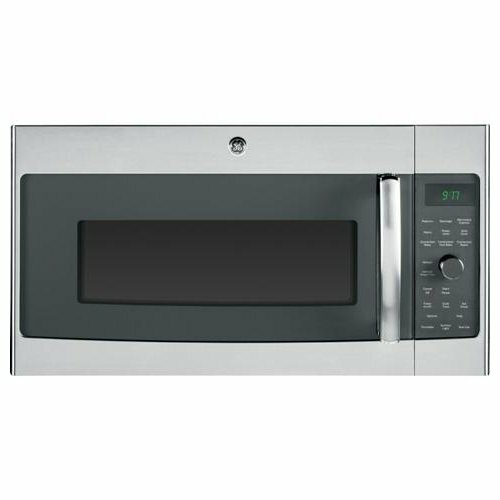 There are basically 2 types of convection microwave ovens to choose from – a countertop type or an over-the-range model. Before going out to buy a convection microwave oven, consider the features listed below. 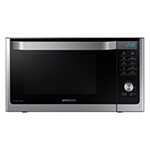 Power – A powerful convection microwave will allow you to cook and heat up food quickly. For this type of cooking device, pick a model that has at least 1,000 watts of power. Capacity – This feature refers to the size of the cooking chamber. Getting a spacious unit will allow you to cook larger portions of food in one setting. For this particular feature, it would be practical to get a model that has at least 1 cubic foot capacity. Cooking Controls – Programmable settings that can be set by one-touch controls will enable you to cook food quickly without a lot of guesswork. Also, having a button to add an extra 30 seconds is very convenient when you require additional time to cook food. Interior Design – The cooking chamber can be very hard to clean if food and grease stick to the side walls. Having stainless steel or ceramic enamel as the interior coating will allow you to clean the insides of the unit without much trouble. Exterior Design – The exterior design of a model is also important as you will want this appliance to blend in with the other cooking devices and gadgets you have in your kitchen. Aside from looks, models that use durable materials the are more practical to have as they will last for a long time. To appreciate your convection microwave, even more, try to get a unit with the added features listed below. These are just little things, and they may not be all present in a single model – that’s why you should determine for yourself which features are more important to you. Cooking Sensor – This intelligent design enables the unit to determine the type of food, that you’re cooking. It will then automatically adjust the settings (cooking time and temperature) to make sure that your food is not overcooked or undercooked. Capacity to Cook – The unit’s total capacity in accommodating food is important when preparing meals. If you’re always cooking large amounts of food, getting a model with a large cooking chamber is very practical. Intended Use – Knowing how this particular type of kitchen appliance will be used in your everyday life will guide you in making the right choice when choosing the model that’s best for you. If you want it to be your main cooking companion in the kitchen, get a unit that can do a lot of functions – such as baking, roasting, broiling, frying, toasting, reheating, etc. Noise Level – If you are sensitive to noise, choose a model that’s not so loud and noisy. There are units that are not that loud and there are even those that come with adjustable (and mutable) alarms and beeping sounds. 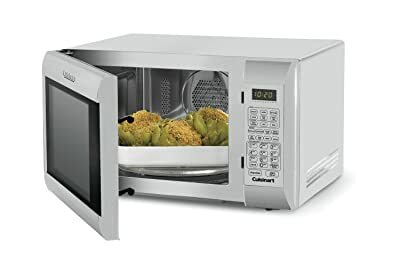 I really like this model of convection microwave oven from Cuisinart because it looks good and it functions well as a microwave and convection oven. It also has the ideal size of cooking chamber for a regular-sized family. Having the cooking sensor feature will enable your food to cook perfectly all the time. Only 2 things prevented this model to be in the Top 1 position – it’s not that powerful (at only 900 watts) and the turntable can’t be turned off. 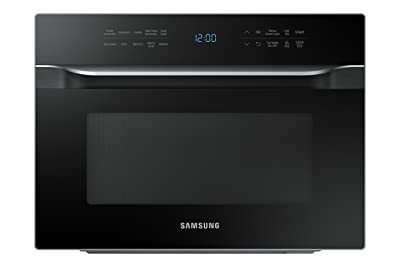 Other than those issues, I found it to be a really functional and useful convection microwave oven. 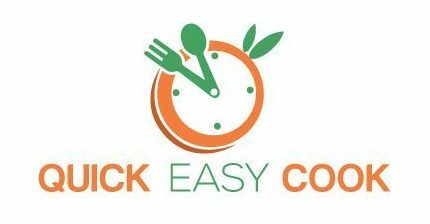 Fast Bake Feature – The convection and microwave functions can be combined to make cooking time faster (up to 25% faster). Sensor Cooking – The unit can be programmed to automatically adjust the cooking time and temperature so as to ensure proper cooking of food. 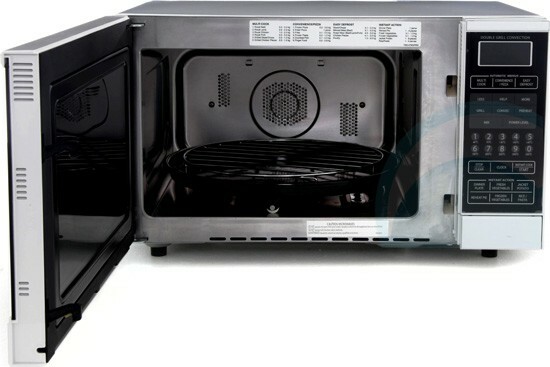 Warming Oven Option – It can serve as a warmer so that your food will always be ready to serve. 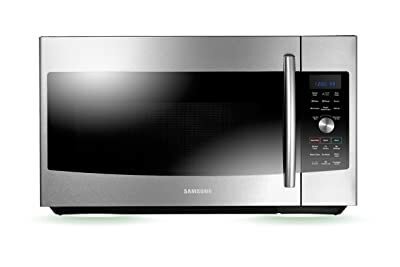 This is my favorite over-the-range convection microwave oven in the Top 10 list – that’s why it’s positioned at number 3. It has a good venting system (at the top and back) to ensure proper airflow while cooking. Power – This model is powered by 900 watts. Interior – The inside chamber is made of stainless steel. Programmable Operation – There are one-touch button controls for defrosting, reheating, making popcorn, heating beverages, cooking vegetables, etc. Temperature Controls – You can roast and bake from 100 to 450 degrees Fahrenheit. 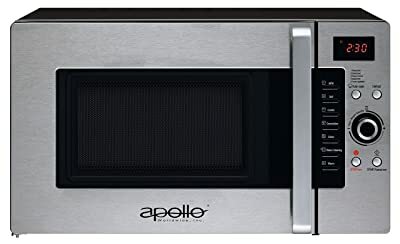 If you’re looking for a countertop convection microwave, consider this Apollo model – which is a unit that’s well-deserving of the number 5 position in our Top 10 list. You can get it in stainless steel color. Included Accessories – The package includes a 12-inch metal tray for roasting and baking, a 13-inch glass tray for microwaving, and a grill rack for grilling, roasting, and toasting. As this is a high-powered model of convection microwave, expect the outer surfaces to get very hot during operation. You should therefore allow a lot of space around the unit for proper ventilation. Power – This model has 1,000 watts of power and 10 power levels. 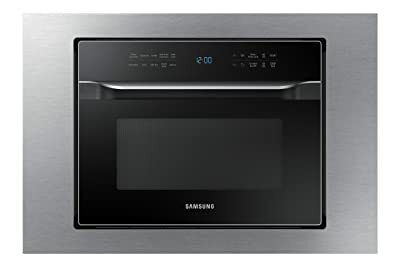 This countertop model from Samsung makes for another fine choice when considering to buy a convection microwave oven. It only comes in one color – black stainless steel. 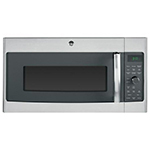 This model of convection microwave oven gives you combined cooking options. You can also use the pre-programmed menus or manually enter the cooking time and temperatures for your recipes. 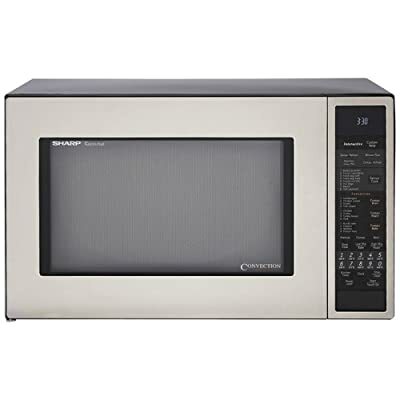 Should you choose this model of over-the-range convection microwave oven, you have the option of venting it back to the kitchen, at the top, or at the back. The Top 10 list in this post will help you choose the right model of convection microwave for your needs. Consider the features, pros and cons of each unit to be able to make an intelligent decision before buying. However, I have my own recommendations and suggestions for you. If you’re particularly looking for a countertop model, I would suggest getting the Cuisinart convection microwave oven. It has a lot of built-in functions and a spacious cooking chamber as well. The price is really good, too. 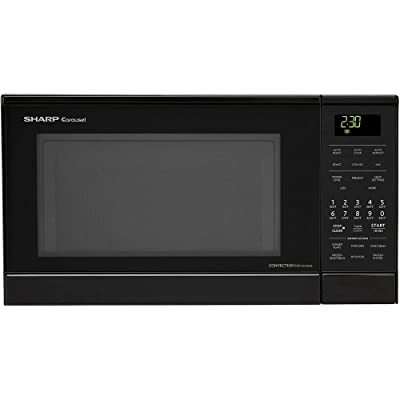 Another good option for a countertop model is the Sharp R930CS convection microwave. Aside from having a spacious cooking compartment, it also has a cooking sensor that ensures proper heating all the time. 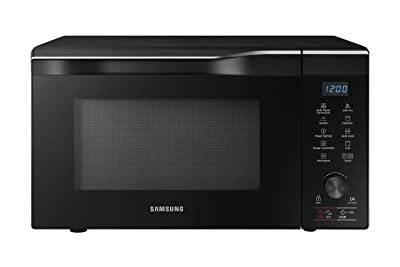 So, for a countertop type of convection microwave, I would say it’s a toss between the Cuisinart and Sharp models mentioned above. Now, if you’re keen on buying an over-the-range unit, I would recommend the GE PVM9179SFSS. It’s a high capacity model, and it also comes with an intelligent technology cooking sensor. It’s quite expensive, yes, but built-in models are typically more expensive than countertop types. Well, I hope this article has helped you understand your options in choosing the best convection microwave oven for you. Do share this post with your friends to help them in their quest for a unit that best suits them as well, ok? As always, I will wait for your feedback. The comment section below is all yours. The Best Japanese Rice Cooker: Top Picks For Checking Out! 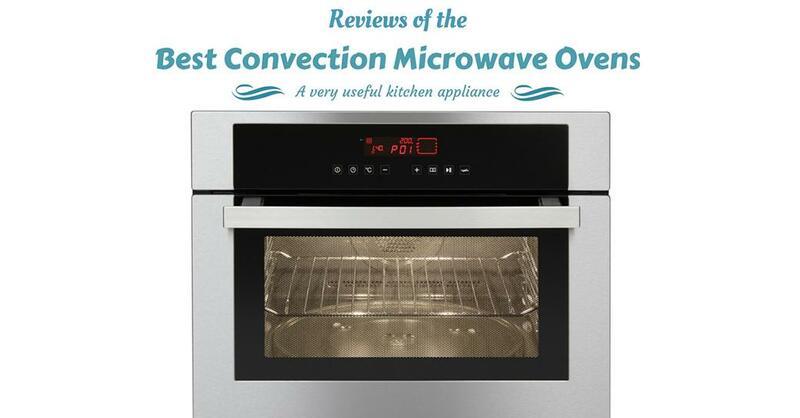 Convection ovens are really more valuable than ordinary ovens but the right technique is needed when using it.I love danby products but i’m shocked that they are not included in this review. Are you saying all these are better than Danby convection oven?